First things first, what does ‘inbox blindness’ even mean? Entrepreneur likens the term to ‘banner blindness’ - a concept referring to a website user’s subconscious or deliberate glazing over of advertising banners on the page they are visiting. The adverts are there, but some of us just don’t see them anymore. Or choose not to. 'Inbox blindness' is the same phenomenon, but instead of visitors becoming immune to ad banners, they stop noticing certain emails in their inbox. Frightening, right? This is a pretty serious problem, and one that most businesses can’t afford to shrug off. But before we explore ways to ward off inbox blindness, let’s take a look at why it happens in the first place. How many emails does your average subscriber receive on a daily basis? According to a recent email marketing statistic report from DMR, the average office worker receives 121 emails per day. That’s a lot of emails. Realistically, they are only going to pay attention to the emails that a) catch their eye or b) have already earned their trust as being valuable sources of information that are worth opening. According to millions of emails delivered by MailChimp’s system, the average unique open rate for ecommerce is 16.80%. This is lower than industries such as Arts and Artists (27.39%), Architecture and Construction (24.97%) and Creative Services/Agency (22.59%). This clarifies our theory that, in the ecommerce arena, subscribers just aren’t opening the amount of emails we want them to. And yet, according to Mailigen, over half of marketers rate email as the most effective type of digital marketing and the least difficult to execute. Luckily, there are numerous tactics you can deploy to make your emails go from being sidelined to sought-after. Whether you want to boost your weekly e-newsletter or secure a one-off win-back, listed below are useful hacks to make sure your brand’s future emails are opened. To make life easier, we’ve divided them into 4 key categories. Let us know how you get on! By now, everyone knows how important a good subject line is; it’s probably the biggest deciding factor in whether your email gets opened in the first place. However, with great power comes great responsibility, and for many the pressure proves to be too much. With just a tiny space to work with, it sometimes feels like an impressive subject-line is actually a chimera; do they even exist? To find out what we can do to achieve a subject line that is, at the very least, not so boring people don’t even register its presence, we turned to ecommerce expert and fellow Ometrian Paul Boudet to ask for his professional advice on how you can make yours stand out from the crowd. According to Paul, including symbols - such as emojis - in the subject line of your email can make a difference. In a sea of text, a mini green tree or bright yellow star is likely to attract attention. It’s worth jumping on this bandwagon now, whilst it’s still relatively novel. All the while, remember that factors like too much capitalisation and excessive use of exclamation marks can trigger spam warnings. Paul’s second piece of advice is to use the subject line as a way to remodel an existing email. For example, if a well-crafted and valuable email receives a low open-rate, it’s worth re-sending (only to those who did not open it in the first instance) but with a differently worded subject line. This not only increases your open-rate in the short-term, but also gives you the opportunity to experiment and see what works best for the future. Before you hit ‘send’, ask yourself: how relevant is this email? Will it really make a blind bit of difference to my subscriber’s daily life? If the answer to both of those questions is ‘no’, start again. A strong subject line with weak content is akin to all talk and no action. Make sure your emails include some kind of valuable information, or recipients may end up becoming disillusioned with your brand and boycotting your emails entirely. As advertising guru David Ogilvy once said: "The customer is not a moron. She's your wife"; in other words, don’t patronise your recipients, as they’ll know when your messages are irrelevant and untargeted. Which brings us on to our next point: the all-important personalisation. Creating emails that customers know will be relevant to their interests is key in encouraging them to open your emails again and again. At Ometria we believe that blanket messaging and generically worded marketing no longer has a place in today’s world, as data and technology enable etailers to send every customer a personalised marketing message. Having a single customer view (which you can read more about here) is key to making customer communication more personalised, and any brand that fails to recognise this is at risk of falling out of touch. Personalised product recommendations: devoting space in your newsletters to product recommendations personalised to the recipient. Dynamic content based on customer profile: similar to the above, consider including space in your newsletter that is dynamically populated with different messages depending on the customer profile of the recipient. For example, showing a '10% off' banner to lapsed customers who you are trying to reactivate. Taste-based email blasts: if you're trying to promote a certain product or category, consider creating segments of customers who have demonstrated an interest in that category or product type, and target them with email tactical blasts. Imagine The Night Manager only showed at 2am on Monday mornings when it first launched. Would anyone watch it? Okay, this is a bad example because we’re well aware of the great lengths people will go to to see Tom Hiddleston’s face (including yours truly), but the point remains: timing is everything. Automated, behaviour-based email that is triggered by a customer action is proven to attract higher open rates than regular newsletter communication. Triggered email can be a great way of encouraging people to engage with your brand at specific moments in the customer journey. New subscriber welcome campaigns - aimed at engaging new subscribers and encouraging them to make a first purchase. Cart and browse abandonment campaigns - aimed at recapturing revenue lost when someone browses or adds items to their basket and then leaves. Post-purchase campaigns - aimed at reactivating customers after they have made a purchase. Lapsed customer win-back campaigns - aimed at reactivating customers who have not bought in a while. Replenishment campaigns - aimed at reactivating those who have bought consumable products. From bombarding your customer base with so many emails they are forced to unsubscribe to having no email presence whatsoever, email frequency is something an increasing number of e-tailers struggle to comprehend and get right. 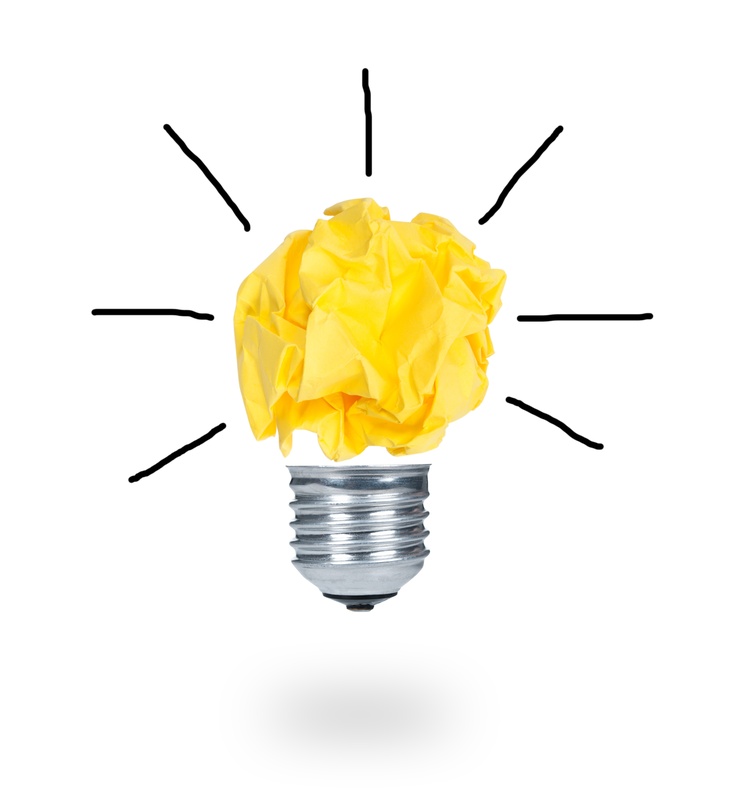 In recent research we carried out, 84% of respondants cited 'too many emails from the same company' as a frustration. As well as annoying subscribers, over-mailing can result in delivery issues and prevent messages from arriving at all. But how do you know where to draw the line? And how much is too much? Research carried out by Your Story last year found that a colossal 83% of customers prefer less than 2 emails each week. So whilst email may well be one of the most effective marketing channels for e-tailers, it’s definitely a case of less is more. According to DMA’s National Email Client Report 2015, if you are going to send your subscribers multiple emails, it’s crucial that those emails include content that is worthwhile. This is because ‘without the right messaging', senders may experience a rise in unsubscribes and a decrease in engagement when 'increasing the frequency of contact’. The report also highlights the fact that, whilst too many emails can be risky, too little contact can mean a brand “has less chance of being in front of the customer at the moment they are considering a purchase”. Simple things such as listening to your subscribers and keeping an eye on spam complaints can be a good indicator of whether or not you need to rethink the amount of emails you send. Likewise, some marketing automation platforms (like Ometria) enable you to limit the number of emails that will be sent to any subscriber or customer in a given time period. Even once you’ve created the perfect email campaign that your customers will not be able to resist opening, you still have the dilemma of how to ensure your email ends up where they're going to see it. The struggle is real. As mentioned earlier in this article, avoiding the spam bin is key to getting your emails read. Boycotting blacklisted words or dodgy links - and not including too many links in your email - is key. 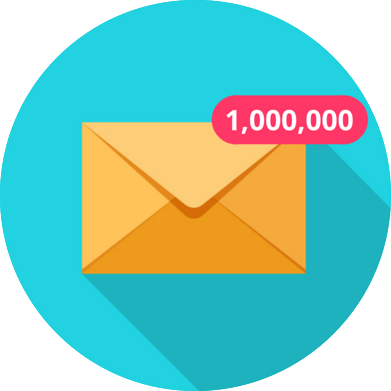 For more information on this, read our blog post on everything you need to know about spam filters, subscriber engagement and inbox deliverability. 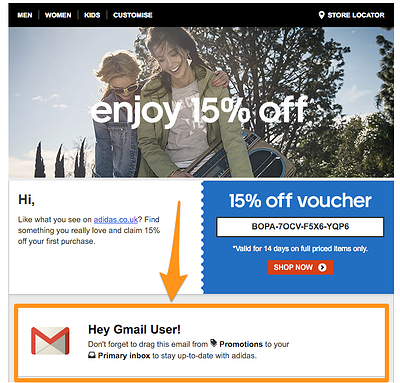 Another example of the struggle to get in front of subscribers is Gmail’s “promotions” tab. How can your brand’s valuable message make its way from this folder into the all-important “primary”? Ultimately, asking your subscriber for a moment of their time is hard-work, and something that won't happen overnight. But if you start thinking now about how your brand can use the above advice for future email campaigns, you'll at least be on the right track. Don't be afraid to stray from your usual marketing strategy - especially if it's not working. Sometimes interrupting patterns and thinking about how you can interact with your subscribers in different ways via email can lead to unexpected results.